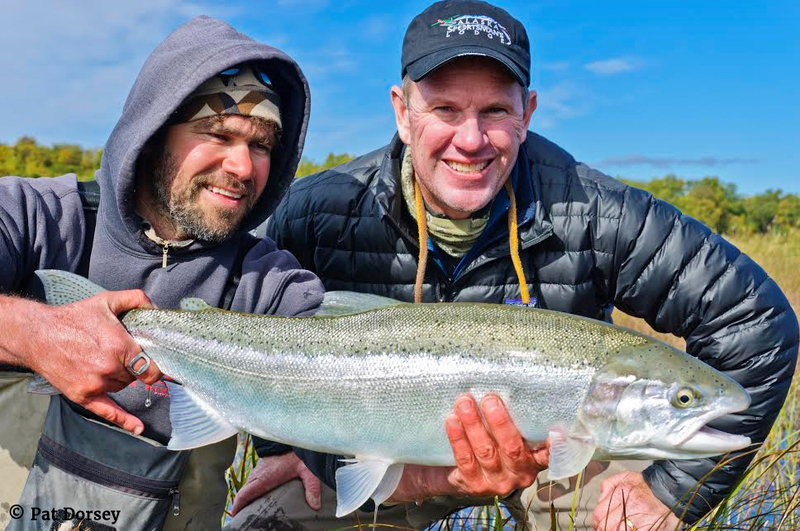 The Blue Quill Angler and Alaska Sportsman’s Lodge have teamed up to provide a spectacular and inspiring Alaska fly fishing adventure during the absolute best time of the season to target these trophy sized rainbow Trout. 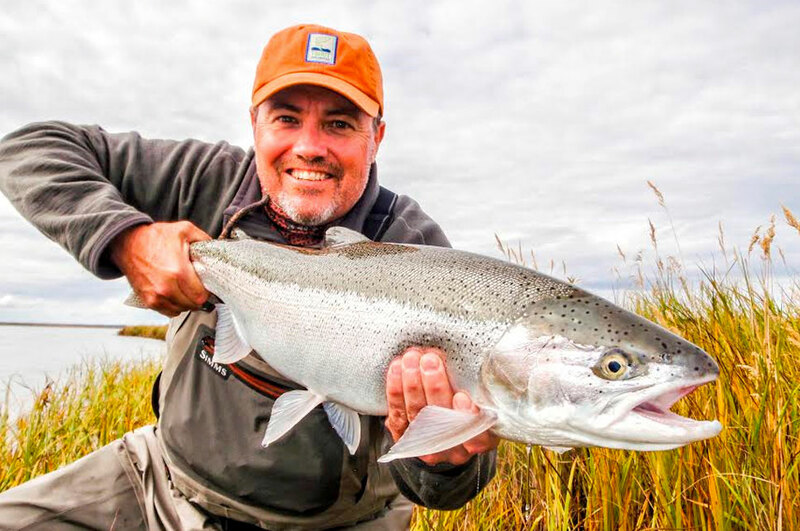 As you travel down the crystal-clear Kvichak River (Kwee-Jack) about 4 miles from majestic Lake Iliamna, Alaska’s largest lake, you will find Alaska Sportsman’s Lodge nestled intimately upon the ridge overlooking this vast pristine wilderness of south western Alaska. This area is in the heart of Alaska’s designated Trophy Rainbow Trout area. Here snow-fed streams flow crystal clear from the mountains through the tundra and to Bristol Bay. The nutrient rich environment and pristine habitat provides the perfect setting to host the largest salmon runs in the world as well as providing an abundance of food sources that allows for the rainbow trout to grow larger than 30” in length. 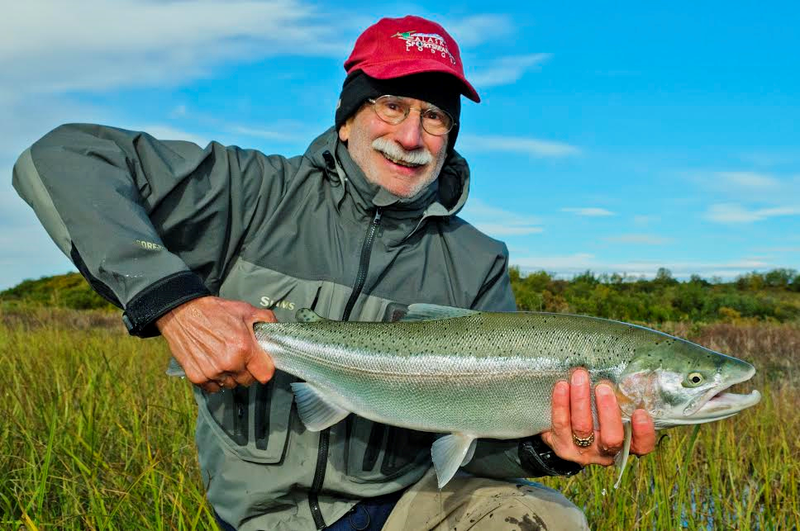 Alaska Sportsman’s Lodge prides itself on providing quality fly fishing experiences each and everyday for our clients. 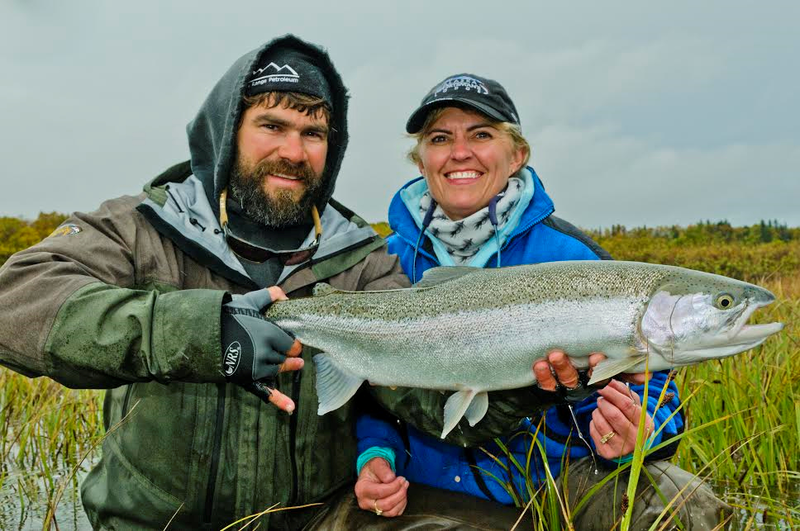 Whether you choose to explore the wonders of the Kvichak River right out the front door of the lodge by boat or you take a fly-out in Katmai National Park through some of the most rugged and pristine wilderness Alaska has to offer, your day will be filled with tremendous fly fishing, breathtaking scenery, and professional people that are dedicated to making sure that you have a great day. Recognized as the 2005 Orvis Endorsed Lodge of the Year and the 2008 Sporting Classic Magazine Best Fly Fishing Lodge, you will immediately be amazed of the comfort that you find in such a remote area. The main 3,500 square foot main lodge is complete with a great room that has a fireplace and plenty of couches and comfortable chairs that overlook the Kvichak River. The guest cabins are well appointed with two comfortable beds and private bathrooms. Each cabin has a deck that looks out over this Alaskan wilderness. Give us a call at (303) 674-4700, or use this form to contact us. Our guide coordinator will contact you with more details and set you up for the trip of a lifetime.